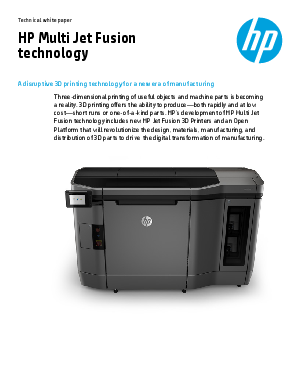 HP transforming manufacturing with breakthrough 3D printing technology. Our white paper uncovers one the 4th Industrial Revolution's most disruptive technologies. Reinvent your business with Multi Jet Fusion technology.